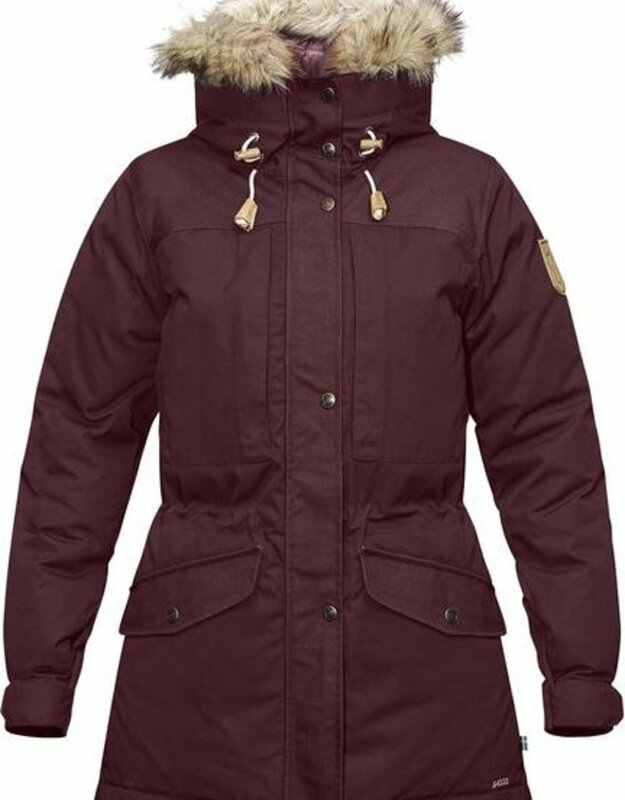 Warm and durable down jacket for winterís really cold days. A classic, long model with outer fabric in hardwearing G-1000 and extra durable G-1000 HeavyDuty over the shoulders and rear. The padding is high-quality, traceable down that has been reinforced with synthetic padding over the shoulders and elbows for extra durability against weather and wear. Perfect for low-intensity winter activities in crisp winter weather, when nothing is allowed to stop you getting outdoors. The cut is feminine and generous at the same time, so there is plenty of room for insulating layers underneath. 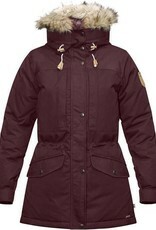 There is a spacious and adjustable hood with detachable synthetic fur edging for extra protection from swirling snow. The zipper is two way and covered with a wide protective flap. Two large vertical chest pockets with zippers give quick access to small items. In addition, there are two top-loaded pockets lower down plus an inner pocket with a zipper. Drawcords at the waist and hem, while the sleeve cuffs are adjusted with Velcro.